Most Linux distributions are significantly lighter on resources than Windows. Better network stacking allows for lower network latency. Managing updates is much easier. Updates for the OS and programs are managed through a central update tool, and the system can update without rebooting. The default Linux file system EXT4 is superior to NTFS, giving shorter loading screens, faster file access, and less fragmentation. Some earlier Linux-native games had ports of really poor quality, though this got better with newer games. Linux ports of games are often not well optimized, typically performing up to 20% worse than on Windows. This varies per game, some even perform better on Linux. Many Windows-only Steam games can be run through Steam Play. Other Windows-only games can be run using Wine, but depending on the game it may be significantly more challenging. There are two types of release models which distros are using, both have their pros and cons. Manual intervention is required in order to add user-made repositories in some distros. Ubuntu Debian GNOME 6 months, 2 years for LTS Steam, GoG, many commercial developers The most popular distribution. Ubuntu LTS (Long Term Support) is officially supported by Steam. If you don't know what to choose, pick this one. Ubuntu non-LTS is updated more often and contains newer packages and functions and is also a great option. Ubuntu flavours Ubuntu Plasma, LXQt, Budgie, MATE, Xfce 6 months same as Ubuntu[fr note 3] Flavours offer different Desktop Environments, but when it comes to compatibility, they are vitually the same as Ubuntu. Choose if you prefer distinct workflow or art style. Newcomerfs from Windows should definetly pick Ubuntu MATE, Ubuntu Budgie, Xubuntu or Kubuntu. Linux Mint Debian, Ubuntu Cinnamon, MATE, XFCE Up to 2 years same as Ubuntu[fr note 3] The most popular beginner-friendly Linux distribution. LMDE 2 Edition is based on Debian. Be aware that the packages may be much older compared to Ubuntu LTS releases, but the main advantage is the built-in kernel upgrader. KDE Neon Debian, Ubuntu KDE Plasma Up to a year same as Ubuntu[fr note 3] A distro created by the KDE community, compared to the Kubuntu (A KDE flavoured Ubuntu) it provides the latest version of KDE Plasma, while at the same time being able to use packages from Ubuntu. SteamOS Debian (Stable) GNOME Varies Steam Linux distribution made by Valve Corporation specifically for Steam Machine or for gaming from couch. 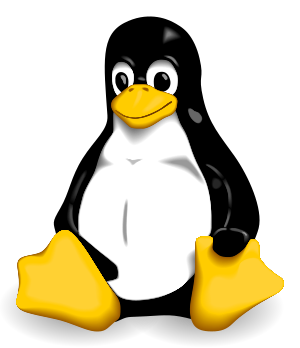 It currently provides the latest stable Linux kernel along with newer drivers for GPU. Offers an option to act as a desktop system, it may be behind in terms of packages. ↑ 3.0 3.1 3.2 Support is not official, but the distros are so similar, that everything that works for Ubuntu will work here. No distro upgrade is required, as most distros have only one version. An update for the package may cause stability issues, so it is recommended organize an update by yourself in case a revision gets a release, which fixes stability issues. In some cases, manual intervention is required. Some distros offer a semi-rolling release, meaning that the package will be tested before the release, it mostly takes less than a month, often a week depending on distro. Manjaro ArchLinux Plasma, XFCE[rr note 2] Provides its own official repository has exclusive tools for installing various Linux kernels and managing your hardware drivers. The packages are semi-rolling meaning that it takes longer for the new version of the application to be released (Up to 2 weeks) until it's absolutely stable enough. Antergos ArchLinux GNOME, Cinnamon, MATE, KDE, OpenBox, XFCE, text mode Compared to Manjaro, Antergos combines both its own repo along with official ArchLinux ones, useful for users who wish to get into ArchLinux without fiddling with commands for installation. OpenSUSE Tumbleweed Independent KDE Plasma 5 A separate rolling release version of OpenSUSE, which is more up to date and curated. The Linux community has created multiple variations of the desktop environment for you to choose from as by default the system uses the text mode by default, with their own basic software for common use such as file explorer, notepad, virtual terminal etc. along with their own purpose and features. One of the most oldest (and 2nd) desktop environments which to this day is constantly updated. The 3rd generation of GNOME has a much more tablet-like appearance compared to previous ones with a very large set of softwares combined with community-made ones as well as extensions, thankfully the GNOME Classic is included for those who do not like it's theme and it's compositor integrates really well with NVIDIA graphics card, which does not cause any tearing at all. However, it's very limited in customization, forcing you to install GNOME Tweak to change things such as the color theme, icons etc. For Wayland use, GNOME supports both GBM and EGLStreams APIs which makes it the only DE to support Wayland for every graphics cards that support it. The very 1st desktop environemnt which to this day is still being updated and maintained. Compared to GNOME, it uses less memory while having many of it's features and software included which makes it very attractive to Windows/Mac users while being very customizeable and packed full of options for you to set up and a dedicated option to disable composition when running a software in full screen, providing a better performance in games. The main drawback however is that it's window manager/compositor KWin does not tolerate well against NVIDIA's proprietary driver, requiring you to set both the desktop and the driver to work properly. Created by a original Solus developer and currently maintained by Solus Team. It currently serves as an alternative for GNOME 3 with a much more desktop-like interface and bear some similarities to Windows 10. Created by Linux Mint Team, Cinnamon brings back the GNOME 2 appearance with a modern twist, while using some of the features present in GNOME 3, including it's compositor's integration with NVIDIA GPU. Allows you to run in Hardware (Default) and Software mode (No Composition). Starting off as a clone of a Unix-like desktop environment named CDE, it became it's own DE with a much more Windows XP-like appearance and with it's light use of memory is well suited for low end hardware or even for Windows veterans. MATE was born as a spiritual successor to GNOME 2 after a controversial change in GNOME 3. The DE is well suited for common Windows users while providing it's own features such as audio preview by a mouse hover. Starting off as LXDE and later one in combination with Razor-Qt it became LXQt. The most lightweight desktop environment ever created, despite it's limited features and customization along with the lack of compositor it is perfectly suited for the lowest end hardware. It is important to update your Linux kernel as new versions provide security updates, bugfixes, better performance and support for hardware. Your distributions repository contains the latest version for your OS. stable release (sometimes called the current release) offers the best hardware support and the newest features. It's the default choice for a gaming machine and should be avoided only if it causes some issues. Both releases offer the same security updates. This section is meant for advanced users, you can easily break your OS, if you don't know what you are doing! While both stable and LTS Linux kernel releases can be used for gaming, there are also community-made ones which add features and improvements, thus may improve your gaming experience even further. For help with installing different kernels on distro of your choice, you should go to kernel version official website or your distros forum and wiki. Be sure to keep the current kernel you have in case if things go wrong. UKUU is an useful utility for swaping kernels, although newer versions have nonfree license. It is very important to install the microcode for your CPU as the manufacturer provides security and stability updates. Most distributions use either package manager or some kind of firmware/drivers manager to update your microcode. Here is a following table describing the drivers and informations which Linux supports for each GPU brand. 1 - GCN 1 and 2 architecture support in AMDGPU is experimental. 2 - The proprietary one started to support Wayland since 364.12 version, however it uses the EGLStreams API. 3 - Do not use it on Intel HD 4000 series and newer GPU. Never install drivers from the respective GPU brand's website unless you are forced to!. Installing them from the distro's repo is enough. If forced to use Catalyst, Nvidia 173 or Nvidia 96 drivers, you must downgrade XOrg to the version it got the last support. Enable early KMS once you have installed the driver. Currently the open source driver for AMDGPU don't have some of the features from AMDGPU Pro (Such as HDMI audio), however the upcoming 4.15 version of Linux kernel will include DC/DAL features present in the former driver. It will be enabled by default for Vega cards and newer. But for the older ones you need to add amdgpu.dc=1 into the kernel parameter after the release. Before using the open source driver you must install LLVM and Linux Firmware (In case of Nouveau, it's Firmware as well) before installing the driver itself! As always when using the 64 bit system, install the 32 bit version of the drivers if possible. Use sudo add-apt-repository <PPA repository> to add one. Make sure to run sudo apt update in order to update the repository list after adding one. ppa:paulo-miguel-dias/pkppa Padoka Stable Mesa. For AMD/Intel/Nouveau GPU drivers, also contains Wayland. ppa:paulo-miguel-dias/mesa Padoka Unstable Mesa. Same as the previous, however it is the developer version. Mind the issues you may encounter. ppa:graphics-drivers/ppa "Graphics Drivers" Teams' PPA. Contains the recent proprietary NVIDIA drivers and the Vulkan drivers for that GPU. ppa:ubuntu-x-swat/updates Ubuntu X Team's Stable Mesa. For AMD/Intel/Nouveau GPU drivers, also contains Wayland. Depending on the distro you may have to install Mesa Vulkan Driver. As for the NVIDIA's proprietary drivers, you also need to install the Vulkan package or in case of other linux distributions (such as Antergos) it's already included with the main driver. To this day the Optimus support in NVIDIA GPUs is still considered to be troublesome. It is recommended to use fixed release distributions for this case. In case of laptops which contains NVIDIA Optimus support it is recommended to have PRIME enabled, which can be done by installing additional package, follow the distro’s documentation to learn which one. The alternative to it can be NVIDIA XRun package and Bumblebee's optirun/primusrun (Not recommended as it is no longer in development), but then the manual intervention is required (With the exception of the former). The linked guide will explain in detail the differences between them, as well as how to use them. AMD users have a much easier time with that feature as it only requires running the game with the DRI_PRIME=1 command. Xorg/X11 is the 1st display server released in 1986 which became a standard of creating Graphical user interface (GUI) for Linux. It received a major change during the popularity of Linux in 2000s. Despite the long support and being commonly used it has major issues which are still present today such as focus stealing, client and server separation which may lead to delays depending on the application it was made, tearing issues or even security ones which other user may capture key inputs from the keyboard. Depending on the desktop environment it also has accessibility issue for disabled users. Despite the release of its successor, Wayland, it is still maintained by Xorg Foundation and Free-Desktop.org. Wayland is a successor to the Xorg/X11 server which allows to simplify the whole graphics stack without creating a Client while using a 3rd party compositor. It is only available for GPUs which have a Kernel Mode Setting support. Intel, ATI and AMDGPU, Nouveau have KMS enabled automatically by default albeit late, however when it comes to NVIDIA you must enable it manually. The main benefit of the Wayland is a much faster response to programs compared to Xorg/X11 due to the simple communication between APIs. Keep in mind that you may need to add a command to inform you are running in that session to avoid using XWayland, which may affect the performance even if it has a support implemented. Such as games based on SDL2 like Team Fortress 2. GTK3 - Supported and enabled by default since 3.20, if not, use the GDK_BACKEND=wayland command at the beginning. Qt5 - Requires the Qt5 Wayland package. After that you can run the Qt 5 application with the -platform wayland command prompt. SDL2 - Added in 2.0.2 enabled by default since 2.0.4. If not, use SDL_VIDEODRIVER=wayland command before running the application. GLFW - Install the Wayland version package of GLFW instead of X11, support added in 3.2. EFL - Enabled by default. FreeGLUT - Has initial support. Audio is mostly handled by ALSA, with or without PulseAudio. You may set up to use ALSA only, however it is mostly recommended to use with the latter, as it acts as a main central configuration point for audio itself and some games are set to use PA by default. When using a sound card you must install ALSA Firmware package from your repository, while in case of using Bluetooth headphones in PulseAudio, install it's PulseAudio Bluetooth library. When it comes to API in Linux games, there are multiple of em such as OpenAL (Otherwise known as OpenAL Soft), SDL_mixer, SteamAudio, FMOD and more. But the most popular ones are the first two APIs. You may also encounter the OSS, also known as Open Sound System, released in 1995, it was used as a default sound manager which was added into the kernel, until it was replaced by ALSA in 2.5 version release of Linux kernel. Linux games released till 2001 were using it to play any sound. Even to this day, the OSS is still being updated but it is not much used anymore. If you ever encounter a software where it supports only this audio interface and complaing about the lack of /dev/dsp, you have to either install the OSS itself and set the audio up (the hard way) or rely on emulation. In general, installing the OSSP package and enabling/starting it's daemon process (osspd) is enough to do it as it supports both PulseAudio and ALSA, but it is not updated frequently. PulseAudio can use the padsp command which can be found with the PulseAudio utility package or in some distros, already included with the main software. ALSA users should install the alsa-oss package and then use the aoss, if using a 64 bit system you need to use the -32 argument if you run a 32-bit application. Do not run aoss if you are using PulseAudio, all you will get is a static noise mixed with the white ones at high volume! In case of MIDI, installing Timidity is required along with either soundfonts or FreePats package. Depending on the distro, it will either set it up automatically or require manual intervention. Keep in mind that if you are using PulseAudio, all the sounds, beside the MIDI music, will be muted unless you include the -iA -Os argument for the timidity command as either an autostart or as a user-made service. You can also use Fluidsynth, however bear in mind that it uses more CPU and needs to be set up to work alongside with PulseAudio, but compared to Timidity, it is more up to date. The keyboard and mouse are supported on the go, however if using XOrg you must have it's input-libinput (input-evdev being the alternative) package installed as well in order to work, however by default it will support only 3 buttons for the mouse, in order to use all of them, you have to configure it manually. When using a laptop you may also need to install XOrg's Synaptic package to have access to all features of your touchpad, against the touchscreen it will either work out of the box (besides some calibration) or being very tedious, especially when it is not supported by Linux kernel. Wayland users only requires the libinput package itself, which also supports XOrg. All the controllers such as DualShock 4,DirectInput gamepads and XInput ones (Such as Xbox 360) are supported, however in case of issues regarding XInput ones, you may wish to install xboxdrv. For calibration purpose, you can install the graphical interface of JSTest package to do it. The most interesting thing is the Steam Controller, as despite requiring Steam to make it work, it’s entirely possible to use it outside of it with the use of third-party scripts which lets you emulate it as an actual gamepad or a mouse. Even so, far to use it on Wine, if it’s set properly. It is possible to use SDL2's binary for testing the Joystick or Gamepad to set up a non-supported controller to work with SDL2 applications . If dealing with a game that has a very limited or no controller support at all, the AntiMicro has you covered. It allows you to bind keyboard and mouse inputs into the controller, however it works only in Xorg environment. Fedora has the stable build already available in their repository, Debian users should use the LibreGeek's repository, especially Ubuntu or Ubuntu-based distributions which can be added with this PPA. Otherwise, you need to compile the program on your own, which luckily includes the instructions and a list of dependencies required for compiling. It is entirely possible to benchmark native Linux games in this system by using the Phoronix Test Suite. While it is not in GUI form, it's actually very easy to use. You will need to download any game you wish to benchmark through this program and later on run it. The biggest advantage is that once it's completed, it will save the information as a webpage which the program automatically generates, creating a separate result is not required, as the program can also include it to the existing ones, making a comparison between the hardware you have used or settings much easier. If decided to benchmark on your own, whenether the game has a built-in benchmark or not, using Gallium HUD is recommended. Due to the option of displaying the FPS, CPU or even the GPU load graph while running the software and can be customized to your need and it is available when the MESA package (version 13 or newer) has been installed. This option is only available for AMD, Intel HD and Nouveau. Another much simpler and available for every kind of GPU is the glxosd which requires installing the package with the same name and just like Gallium HUD, you need to type glxosd before launching a game. The settings can be changed in the glxosd_config.lua file located in /etc/glxosd/. It is recommended to change the refresh rate of displaying the information as by default it will show the current info after 3 seconds (In config file it's 3000). Steam users can use Valve's voglpref which only works for Steam. It will display both informations in the Terminal and at the custom website which can be accessed privately, from there you perform any task you want, although you need to know the SteamID of the game you wish to benchmark. The following links and the subreddit can be used to learn about the process. Keep in mind that it is not possible to perform a PCI Passthrough from Windows. This can be done only in Linux itself! Staging - Provides additional features such as CSMT which may or may not improve the performance of the game and contains community-made patches which improves the compatibility. Gallium Nine - Uses Gallium3D State Tracker, which dramatically improves the performance for games using DirectX 9, as it won’t translate Direct3D calls into OpenGL. Proton - A fork of Wine created by Valve and CodeWeavers which includes special patches and additional addons such as DXVK, FAudio, ESync etc. mainly dedicated for gaming and is integrated with Steam, but it is possible to use without it. tkg - Considered to be a "Wine to rule them all!" it contains a large set of patches and features from other community project to provide the best performance and compatibility for games and can be easily customized to your preference, however it was mainly made for ArchLinux (and distros based on it), but it is possible to use it in other distributions. A Protonified version uses Proton as a base instead. So far only AMD and NVIDIA graphics cards which rely on open source drivers have a support for Gallium 3D Nine which greatly benefits the compatibility and performance with DirectX 9-based games. The precompiled installation scripts are outdated, along with third-party libraries. The precompiled scripts may even damage your system. It is recommended to use the option to install the software on your own. Implemented AppDB for checking the software compatibility on the go. Manual compiling/installing other Wine versions is required for more than one. Can also act as a client for native games and emulators. Provides community-maintained scripts for installing games on Wine or even Steam through Wine. Can provide different Wine version for specific games. Can install multiple editions of Wine, including the community ones. Includes Proton by default (may require manual installation from Tools tab) and any Windows game being ran on Proton counts as a Linux sale. The store does not provide with information about required dependencies for the game. Game's store page shows required dependencies to run. Uses MojoSetup as an installer. Running the start.sh script may cause issues, run the binary executable if that happens instead. Sells only Mac and Linux ports they have made. The Unix Shell "bash" and Terminal are available on most Linux-distributions by default is a very useful tool for doing system tasks. If you use Linux as your main operating system, it may be unnecessary to use, but it is recommended to learn some of the important commands and terminal hotkeys to make your job easier such as creating a script binary to perform simple tasks or even create aliases to turn complicated commands into a much simple version. Each desktop environment includes their own terminal and can be changed anytime you want, especially the third-party ones such as Terminator,XTerm/UXTerm or Tilix. All user-made settings are always saved in .bashrc file in your Home directory. The LinuxCommand.org site is the best place to learn the basic and commonly used commands and it is recommended to learn the commands related to file manipulation, text editing, finding specific words and hardware-related stuff. 2 GB - 4 GB The same amount of RAM or down to 0.5x. Higher than 4 GB 0.5 times of RAM or less. When it comes to partitioning your folders. You have to keep in mind the maximum size of it and plan your use of it. Most suggested one on the main root folder (/) is 15GB-20GB while the rest of it goes on to /home (Mind the RAM to know if you need to make Swap disk or not). The main advantage of it is that you won't lose any files stored in your Home directory when the system breaks. You can also make a separate /boot partition as well, but when it comes to the size bear in mind how many kernels you are going to install and use. UEFI users must create a /boot partition with EFI System Partition while marking it as a Bootable disk, keep in mind that you can't use more than 2TB on it otherwise, there may be some issues. If dual-booting with Windows, don't reformat the existing one as Windows stores the .EFI file there, instead just mount it and use the existing one instead. The installers for most distros have an option to automatically set the disk for you if you wish and in some cases dependin on your choice, install the distro while keeping Windows intact. There is a lot of the file system/partition types used in Linux for managing your files, but the most common one and used by default in many Linux distros is Ext4 introduced in 2008 as it includes new features which reduces the file fragmentation, improves flash memory life through delayed allocation, allowing larger volumes/files and mounting Ext2 or Ext3 disks as Ext4. There are other file systems which can be used with their own strengths and weaknesses. It all depends on how much space and which available storage device you want to use on folders and which disk format you want to use. Bear in mind that the order of the partition affects the performance for the disk. So having the /boot folder as a 1st partition will more likely let you boot faster than putting it last. Note: If you decide to dual boot with Windows 8 or higher and using UEFI. You are not required to make an EFI partition since it already exists! Some Linux distributions such as Linux Mint offers you an option to install the system alongside with Windows, in some other distros such as ArchLinux, you need to mount the disk, install the bootloader and save the entry to the FStab. This guide will explain in further detail about dual booting with Windows. There are no best distros, it all depends on your need. You may be switching between it until you find a perfect one, commonly called “distro hopping”. Always ask the forum or refer to the documentation of the distro in case you have a problem. ArchLinux one can be used regardless the distro you are using. In some distros, such as ArchLinux, you may want to check the main page before updating, sometimes a manual intervention is required, but will always provide instructions what to do. Not required for fixed release type distros. You don’t have to keep making an update if a new version is released in a rolling release distro, you can always do it later. It’s actually recommended to do it after some time to avoid any stability issue. Always use virtual machines such as VirtualBox to learn about the distro you want to use. Some distros have a LiveCD or LiveUSB which allows you to check the distro out before installing or even use it for the maintenance. Make sure to install any utilities related to VirtualBox at the Linux distro you are emulating such as graphics drivers. Some keys on your keyboard are labeled differently in Linux world. Meta4/Super key are actually Windows key, while "^X" in text mode is actually Ctrl+X. Almost all of the desktop environments have their own Terminal, you can install a 3rd party ones which generally are more feature rich. If you are confused with using the package manager in Terminal for each distro, this page will help you. Having a second workstation is extremely useful in case if the game hangs out or freezes without any option to minimize it back to the desktop. Mostly happens to the Xorg/X11 server display. Files and folders can be hidden by adding "." at the beginning of the name. If using a 64-bit version of the distro. Always make sure to install the 32-bit package counterpart for the compatibility! Configuration files for games and applications are stored in your Home directory which are mostly hidden. Either at the ~/.config, ~/.local/share or the ~/.<application/developer name> directory. If someone tells you to use this command sudo rm -Rf /, don't do it unless you want to have a bad time. In some desktop environments such as LXQt, the system shutdown or restart process may take longer due to Systemd having the time to stop the session set to 1 minute 30 seconds by default. Find DefaultTimeoutStartSec and DefaultTimeoutStopSec, uncomment them if necessary and set the time limit in seconds. Install watchdog package and enable/run the watchdog service. It is entirely possible to scale the resolution through multiplications (--scale) or by resolution (--scale-from) with xrandr command. Provided that you input the monitor name and your current resolution, which can be learned by using xrandr -q command (It will also list available resolutions). xrandr --output VGA1 --mode 1024x768 --scale 0.5x0.5 - this will downscale the resolution by 0.5 while using 1024x768 resolution in VGA1 monitor. xrandr --output VGA3 --mode 1920x1080 --scale-from 1440x900 - This command will imitate the 1440x900 resolution under 1080p in your VGA3 monitor. As GOG, Steam and other stores mostly support Ubuntu due to it's popularity in both making another distribution (Such as Linux Mint) or wide use, there can be a limited support for the other distros such as ArchLinux, Fedora etc. Mostly in terms of requiring dependencies to run the game or a software. The ldd command can be used to check which dependency does it require and if they are in your system. After running the command, it'll list all the *.so files the software uses, if there is a "Not found" somewhere, this is the moment to learn which package does it contain the file. The missing dependency checkup can be even easier with the inclusion of the grep command. ldd <binary_file> | grep "Not found"
This will only look for the lines related to "Not found" only, if nothing shows up then you have everything you need. Keep in mind that some programs requires using one core for the stability sake. This method may improve the compatibility and sometimes even improve the performance of it on your Linux system. Can be useful in older Linux games that rely on older SDL interface such as Majesty. 1. Create an empty text file and open it with any text editor. 3. Once done, save it and make it executable using either chmod command or via Properties with your file manager. You are required to learn which library does the game uses and install them if not available. Each game has it's own library folder which you may learn about it. If none of them won't work, you may have to downgrade your kernel and wait for the update that fixes it. Provided that you or someone else reported this issue. Enter the text mode by pressing Ctrl+Alt+F2-F10 and if necessary, stop the display manager. Type in as root, dkms install nvidia/<version> --all. If everything is done successfully type reboot. Mount your partition(s) using mount /dev/sd<disk and partition and Chroot it with chroot <root partition> (In ArchLinux system it's arch-chroot instead). Type in dkms install nvidia/<version> --all. Once it's done without any errors, you can restart the system. Install xrandr using your linux distribution's package manager. Run xrandr from a terminal emulator and find the name of the monitor you want to set as the primary (i.e. "HDMI-0"). Run xrandr --output <name> --primary. To automate this when the system starts, prepend the command to your ~/.xinitrc-file, or your desktop environment's equivalent. Open the group file as root in a text editor located in /etc folder. You can bind this command as a keyboard command in your DE. You may also use GNOME, Cinnamon and KDE Plasma which use their own compositor that directly communicates with the GPU without any performance loss from NVIDIA side. NVIDIA users can fix the screen tearing by enabling Force Composition Pipeline in NVIDIA Settings, if it persists, enable Force Full Composition (Keep in mind that it reduces the performance in games even more). AMD and Intel HD users do not have to do anything as DRI3 handles the refresh rate by default without compromising the performance, provided the compositor contains the Present extension. If it persists, chances are you may be required to install and use a 3rd party compositor such as Compiz, Compton etc.